As a writer/blogger, things are always changing as technology ever increases, markets change, readers follow new trends, etc. Keeping up with those can be challenging. You can’t spend all of your time reading every blog, book, or article. Find some that you really enjoy reading. 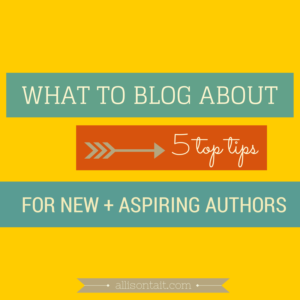 Following a few specialty blogs each week that are dependable, enlightening, and up-to-date can make the difference in your success or failure as a writer. They can also help direct your writing path as you ponder what type of writer you want to be. If you would like to share them, (even if it’s your own), please leave a link in the comments section. And I can't wait to check out your other suggestions, thanks for this post! Also idk if I've mentioned this, but you've got a really cute site design! Thanks for the shout-out Cindy – I'm in excellent company! You're very welcome Laura, always enjoy reading your blog! Thanks for stopping by. You're welcome Allison ~ Thanks for the comment!